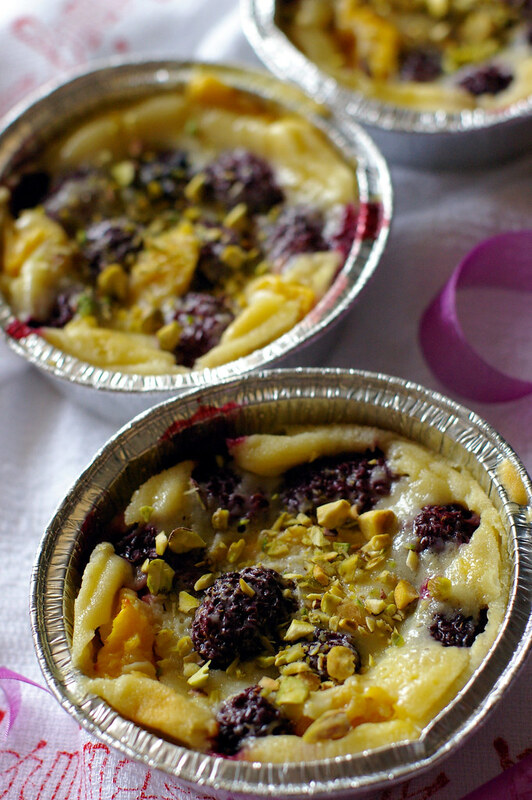 Blackberries and Mango Clafoutis was what I had for breakfast last weekend. Man, I feel so proud of myself when I eat breakfast on rare occasions! Although I know it's important and it will fuel me until lunch time, and helps me to focus etc, I am used to skipping breakfast. It's bad, I know. You see, I am not a milk drinker. So the milk+ granola combo that most people eat for breakfast doesn't work for me. And fruits? No, they help in digestion, and probably will make me hungrier than full later on. How about bread? Yes. I ate that for 13 years while growing up, so No thanks. Normally, a cup of coffee is all I have for breakfast. To rectify the situation, I try to make something that would pique my interest for breakfast on weekends. Pancakes work for awhile, then it lost its appeal. This month, thanks to Bron, who is hosting the latest round of Hay Hay It's Donna's Day, I am reminded that clafoutis is perfectly acceptable for breakfast. And I should bake a batch before I miss the deadline again! Oh, I am terrible at keeping deadlines. Or other important dates/numbers in general. Although I enjoy eating cherry clafoutis, they are just not available this time of the year, (depressing, I know). Instead, I spied some mangoes and blackberries on sale in the grocery store. Not entirely sure if the two would go well together, I know there's just one way to find out- whipping up a batch myself. Which I clearly did. The lovely thing about this clafoutis batter is, it is highly adaptive. It works for cherries, plums and berries + mango! 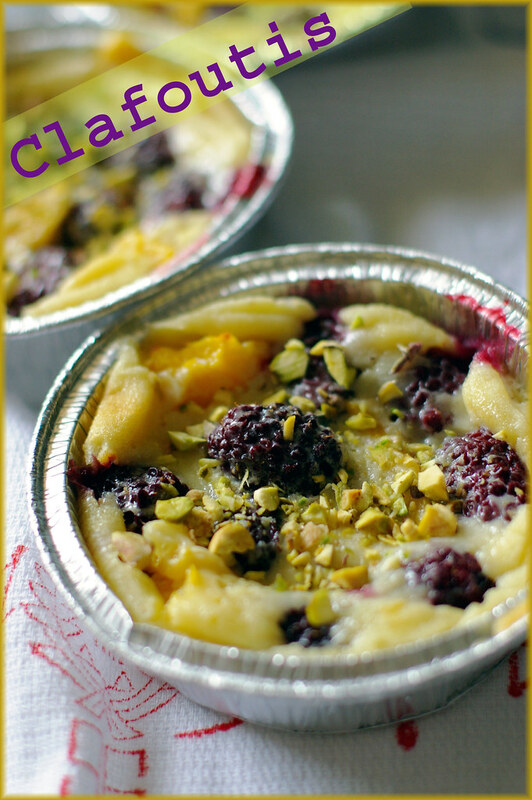 Now I have a recipe for blackberries & mango clafoutis! 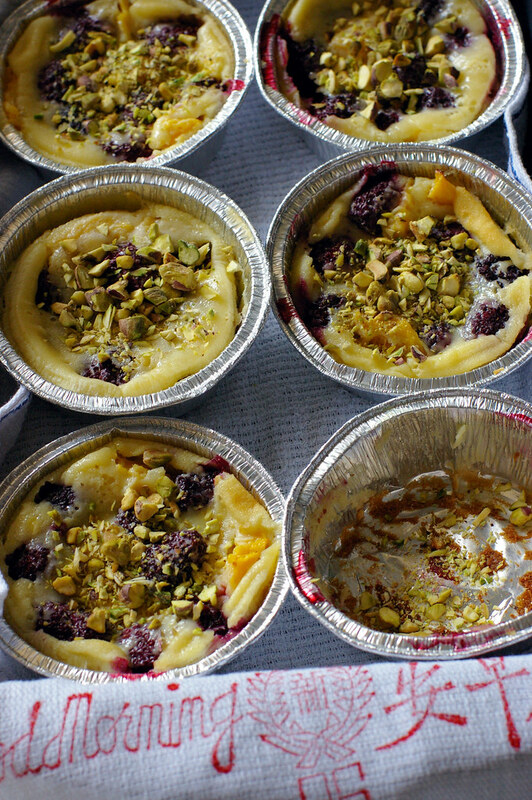 I topped the clafoutis with chopped pistachio, which added a nice contrasting texture and flavor to the clafoutis. I love it, I am now a good girl who eats her breakfast! (on weekends :p) So do you eat breakfast ? What do you eat for breakfast everyday? I need some inspiration here. 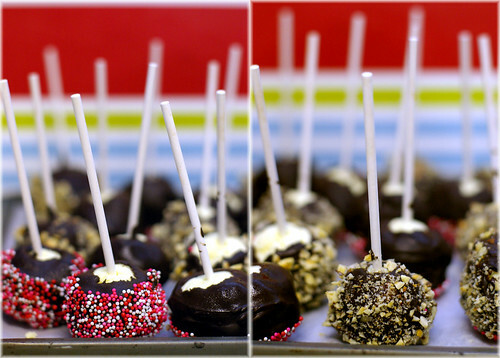 More than 1000 cheesecakes pops are landing on the food blog world today, because this is the Daring Bakers challenge for April! It is no secret that cheesecake is one of my favorite desserts, seeing that I have made quite a few varieties in the past. I would even stock up on cream cheese when they are going on sale in the grocery stores! 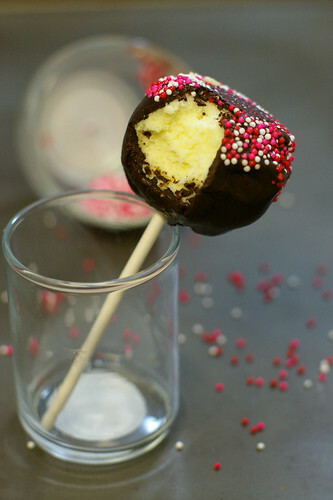 Instead of baking one big cheesecake, our hostesses Elle of Feeding My Enthusiasms and Deborah of Taste and Tell have chosen the Cheesecake pops from Jill O'Connor's Sticky, Chewy, Messy, Gooey: Desserts for the Serious Sweet Tooth as our April challenge. 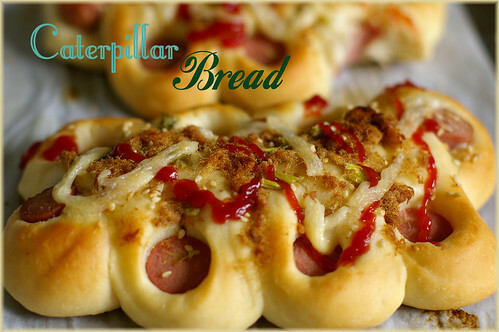 Readers, you will soon hear the resounding "YUM" from other fellow DBers that this is one delicious and fun challenge. I have posted two recipes below; one is my scale-down version and one is the original. 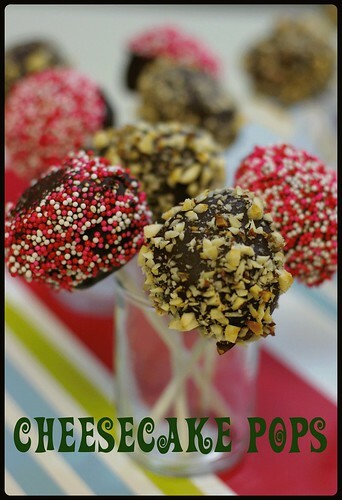 Remember to check out other fabulous cheesecake pops from my fellow Daring Bakers here. Thanks Deborah and Elle for the fun and delicious challenge. This recipe has both thumbs up from this cheesecake lover! xoxo. Proceed as mentioned in the recipe above. Note: I bake the cheesecake in a 9x3 loaf pan for about 45 minutes, depending on the temperature of your oven, it may need shorter or longer time. Check your cheesecake after 25-30 minutes. An ice cream maker has been on my "to-buy-list" for the looongest time. Everytime I go into the Bed Bath and Beyond store, I tell OCT that I am going to get it once we moved to Atlanta. You proud owners of ice cream makers out there have no idea how tortured I was, watching these talented and imaginative people posted their ice creams photos on their blogs. If it's not for the move, I would have gotten mine loooooooong ago. OCT never understood my fascination with ice cream maker. "What's wrong with store bought ice creams?" He asked. Nothing, honey. But I just want to make my own wacky flavors. 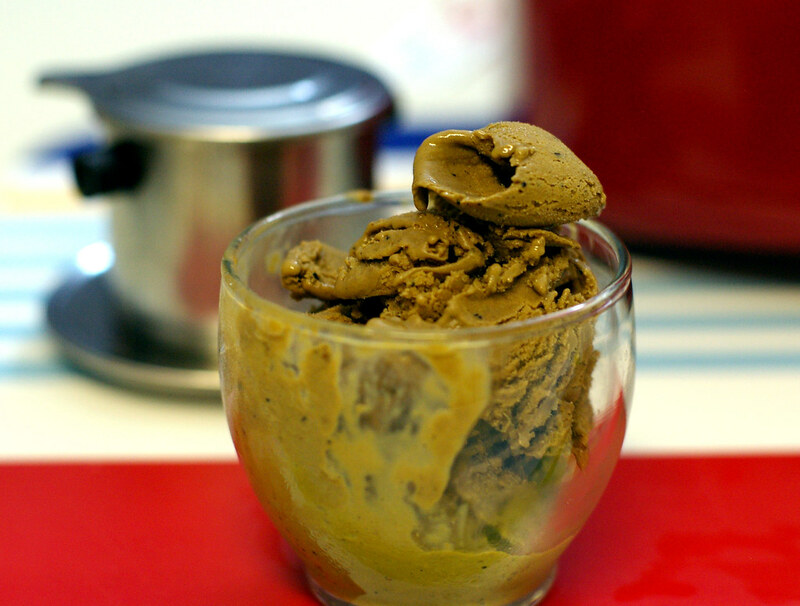 Like this Vietnamese Coffee Ice Cream. I am inseparable from my nifty Vietnamese coffee filter ever since I bought it few weeks ago. That potent little cup of coffee is all I need to stay alert for the whole day. Because I use much less condensed milk than the restaurants, I don't feel too guilty drinking on a daily basis. Oh,I digress. Not the perfect scoop yet, but at least it is a start. 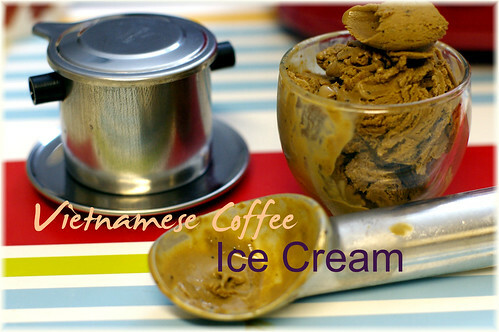 p/s: The lovely Tartelette made a version of Vietnamese Coffee Ice Cream sometime ago, and here's her version. In a medium saucepan, combine the whole milk, condensed milk, ground coffee and salt and bring to a simmer. Remove from the heat and let stand for 20 minutes. Strain through a fine sieve lined with several layers of moistened cheesecloth. Return the steeped milk to the saucepan and bring to a simmer. In a bowl, whisk the egg yolks until slightly pale. Gradually whisk in the hot milk; refrigerate until cold. 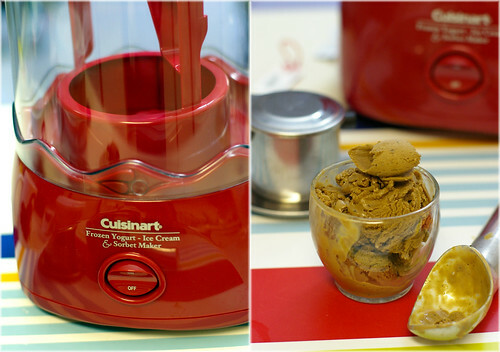 Freeze the custard in an ice cream maker. Transfer the ice cream to a container and freeze until firm enough to scoop. A taste of yellow is a food blogging event started by Barbara of Winos and Foodies last year in support of the LiveStrong Day. 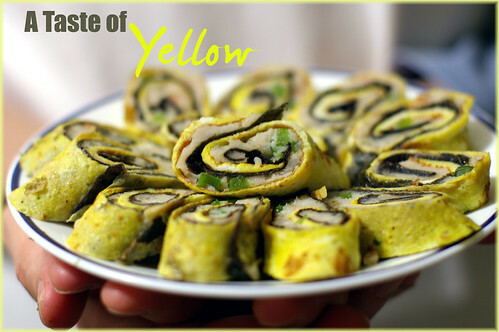 149 bloggers participated by making dishes with an element of yellow food last year. I have no doubt that the numbers will increase this year as cancers have affected more people in all walks of life. I first learned about cancer when I was 9 years old. It affected my grandpa, the person I love the most in the entire world. It's hard to talk about grandpa without having tears welling up in my eyes. Although he has passed on for almost 20 years now, I still miss him a lot. More so on the special moment in my life, like my graduations and wedding. And I know how much he wished to see me in my wedding gown. But cancer took him away, even before he saw me graduating from primary school. Grandpa was a joyous person and he knew how to enjoy life. He traveled whenever he could, and he and grandma were regulars in clubs where they loved to go and dance. Yes, my grandpa was a great dancer. Unfortunately, he never passed on that gene to any of his children or grandchildren. When I think of grandpa, I think of his infectious laughter, his positive outlook on life, the jokes we shared, the story about tiger and a little girl that I asked him to repeat one too many times and the delicious chinese meals he cooked. When grandpa was alive, egg used to be one of his favorite foods. I think it's only appropiate for me to make something with eggs as my contribution for this year's A Taste of Yellow. So steamed fish rolls it is. 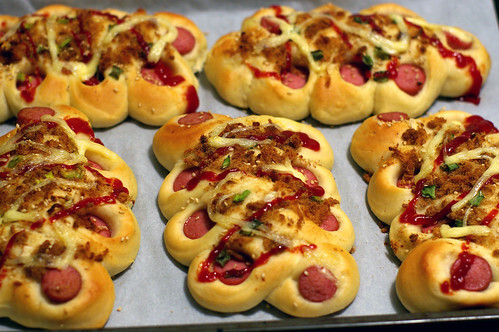 I first saw the recipe on Chubby Hubby, and then my friend Rasa Malaysia made it too. The locals in my hometown have a similar version of this dish, but between you and me, I like the bloggers' version better. Defrost the frozen fish paste and add in minced shrimps, scallions, sesame oil, and white pepper. Mix well and set aside. Beat the eggs and add mirin, if using and salt. Heat up a non-stick omelet pan (any nonstick pan with 8-9-inches in diameter is fine) and make about 6 thin omelets. Set the omelets aside to let cool. After the omelets are fully cooled, transfer one onto a dry and clean chopping board. 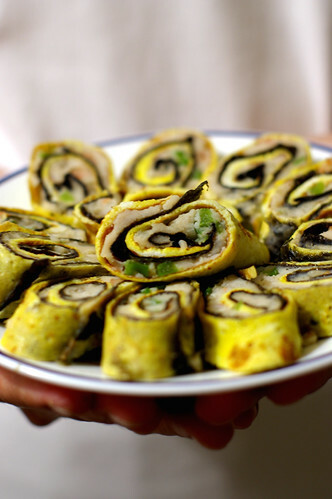 Lay a piece of roasted seaweed or nori on top of the omelet. Cut the edges of the seaweed sheet off with a kitchen shear, so they match the shape of the omelet perfectly. Then, spread a thin layer of the fish paste mixture evenly on top of the roasted seaweed sheet and roll the omelet up firmly. Seal the omelet with the fish paste so the fish roll is nice and tight. Repeat the same for the remaining omelets. Transfer the fish rolls onto a plate and steam in hot boiling water for 8-10 minutes or until the fish paste fillings turn opaque. Cut the fish rolls into small pieces and serve immediately with chilli sauce. Growing up, I have never been the girliest girl among friends. I probably checked the content of the fridge more often than checking myself out in the mirror. Yes, I am one who doesn't even look into the mirror when I wash hands, after going to the bathroom. Especially so in the the public bathrooms. Given my total negligence on my appearance, I turn out to be slighly above average as an Asian female homo sapiens, thanks to my parents excellent genes. However, beneath my tomboy-ish skin, my favorite color happens to be pink. The girliest color among all. 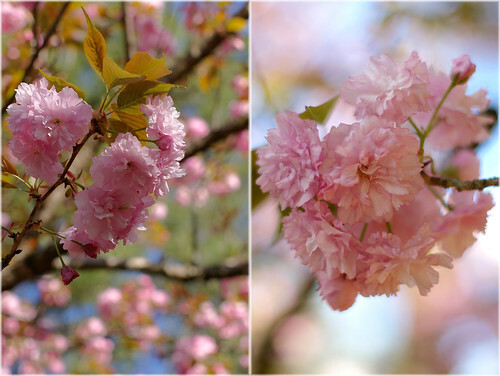 When I see this tree blooming with pink flowers in front of my new apartment, I go crazy taking hundreds of photos of it, at different angles, once in the morning and once before sunset. It is a good omen, I tell myself. I shall get into the kitchen to bake something marvelous and fill our new house with delicious scent. Despite my enthusiasm of a new and bigger kitchen, my first few collaborations with the oven don't turn out as well as I have anticipated. A failed batch of Pandan chiffon cake, chocolate and pear clafoutis and Nutella cupcakes later, I know I need more time to get to know the oven. 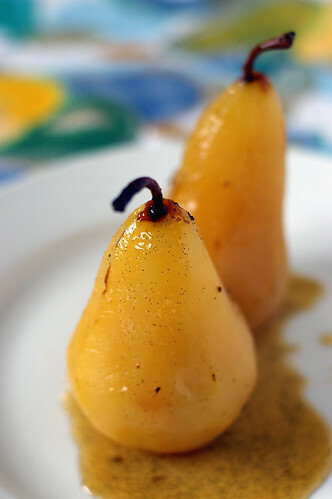 It is time like this that reminds me of the poached pears I made for a dinner party not long ago. Tired of thinking what else to bake, and the prospect of cleaning many bowls, I decided to bring something different this time. With a few pears sitting in the refrigerator, it would be a perfect occasion to try my hand at poaching. The delicious pears have then be devored (with some premium quality ice-cream), with photos taken as proof, then promptly forgotten and burried in one of the picture folders. Until now. This effortless dessert would be perfect at time like this. Note: If you come via feeds, click through to check out my new layout. I get bored and decided to give my blog a facelift, again. Toss pears with lemon juice in large bowl. Set aside. Combine water, Moscato and honey in large saucepan. Scrape in seeds from vanilla bean; add bean. Stir over medium heat until honey dissolves. Add pears. Cover mixture with round piece of parchment paper. Reduce heat to medium-low. 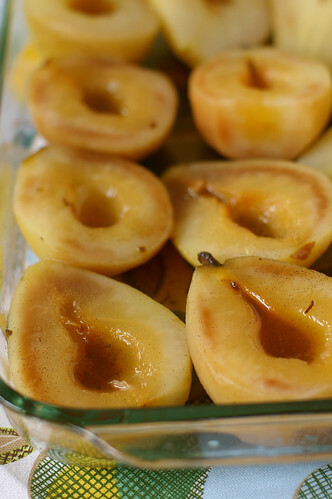 Simmer until pears are just tender when pierced, turning when half-way through cooking, about 15-25 minutes. Using slotted spoon, transfer pears to large bowl. Boil poaching liquid until reduced to half. Cool syrup. Pour syrup over pears. Cover and refrigerate until cold, at least 8 hours or overnight. Remove vanilla bean. Halved the pears, removing the cores with stem attached. Or thinly slice each pear half lengthwise, leaving slices attached at stem end for a fancier presentation. Using metal spatula, transfer pears to plates. Spoon some syrup over pears. 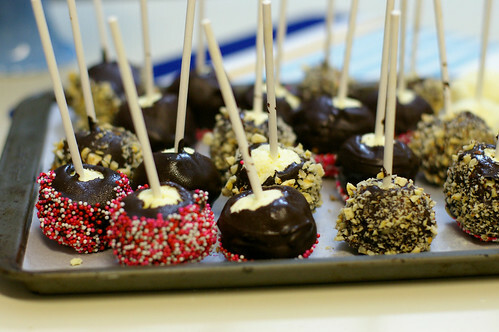 Serve with ice cream or enjoy the poached pears as they are. Growing up, the time that we kids looked forward the most was when the bread van pull into the neighborhood. We usually called the man behind the wheel- "the bread van uncle". Sadly, I don't recall having another nicer name for the movable vendor who sells various kinds of Asian breads, pastries and snacks out of the back of his van. Normally, we could hear the unmistakable rumbling of his weathered engine with the loud and clear honking miles away, and would patiently wait for it to arrive at its designated stop, usually under a shady tree, 2 houses down from ours at 4p.m. 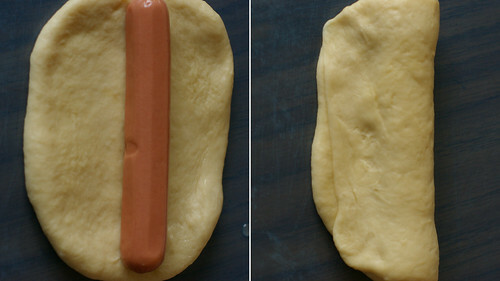 My younger brother Alan would always get a hot dog bun, I think he is a devoted hot dog buns follower. Sometime I would get something chocolatey, such as a chocolate cream bun, or sometime I would join him and get a hot dog bun. I don't think mine turned out looking like caterpillars, they looked more like turtles, but it was a fun project to undertake on a weekend nonetheless! OCT like to bring them to work on busy days when he doesn't have time for a proper lunch. 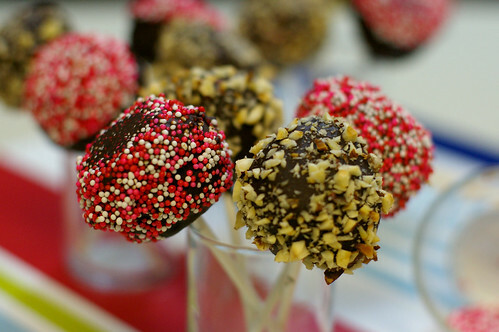 Divide the basic sweet dough into 70g pieces and mould them into balls. 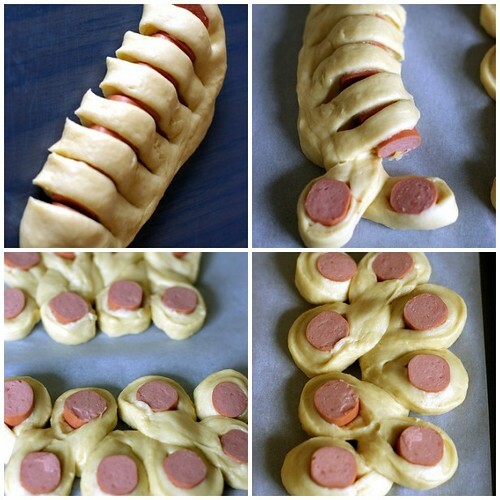 Let them rest for 10 minutes, then roll them flat with a rolling pin. Twist first cut portion to the left, and second to the right, repeat this for the rest of the portions. 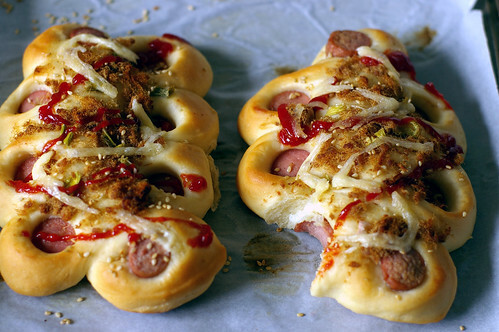 Place the shaped dough onto a greased baking sheet and press each lightly. Let the dough prove for 45 minutes. Brush with egg wash, and drizzle ketchup, followed by mayonaise on top. Bake at 375F for 15-20 minutes or until the breads look golden brown. You can pipe some mayonaise and ketchup on top if desired (for presentation) and sprinkle the optional pork floss. Hello, friends and readers! I couldn't believe I left you without a word for so long. Packing for the move after Easter and some last minute baking had occupied almost all of my waking hours. Could you believe that we were still frantically packing on our last day before the move? Packing one week prior to the moving date is definitely not a good idea. Anyway, lesson learnt. On April 1st, we left St Louis for Atlanta. Another round of unpacking and furniture shopping ensued. To my surprise, I actually enjoy the unpacking process. It almost feels like presents opening on Christmas morning. Except there isn't new things that I don't already own. That,in a gist, explains my silence for the past weeks. 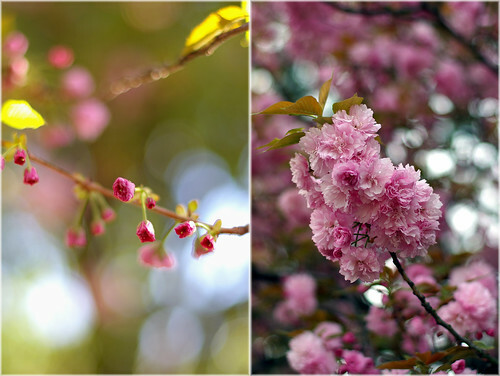 I hope everyone is enjoying Spring, and no one notice my temporary absence. Coming to a new city is exciting. I discover something new about this place everyday and nothing thrilled me more than knowing there's a few Malaysian restaurants in the vicinity. Although I haven't gotten the chance to visit them, but they will surely be on my "to-eat-list" once we have settled down. I haven't done any baking in my new kitchen yet, but there were a few things that I baked before our move. Most of them were given away before photographed.You can find them in my past posts like here, here and here. One of the recipes I got to try in an attempt to use up the jar of Nutella was Self Frosting Nutella Cupcakes from Nicole's blog- Baking Bites. I have read rave reviews about it from other bloggers, but never gotten round making it until the last week before our move. What a treat these cupcakes are. And I couldn't believe it took me so long to make it.To be honest, I kind of regretted sending them off after eaten only one of them. One thing for sure, the Nutella cupcakes are going to make an appearance here once I have my kitchen all set up and perhaps I will not share so generously this time. We'll see. Cream together butter and sugar until light and fluffy,about 2 minutes. Add in eggs one at a time, until fully incorporated. Don’t worry if the batter doesn’t look smooth. Add vanilla. Stir in flour, salt and baking powder until batter is uniform and no flour remains. 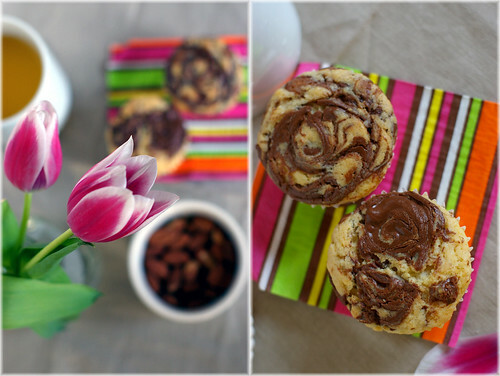 Using an ice cream scoop or spoon , fill each muffin liner with batter. They should be 3/4 full, if you’re not using a scoop. 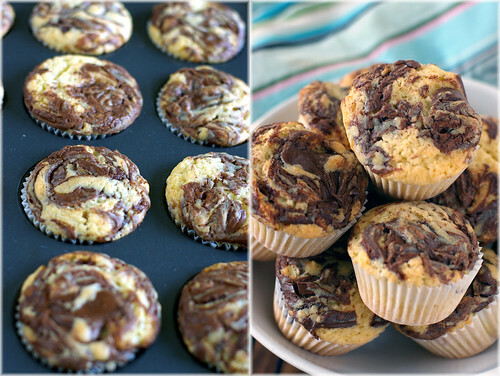 Top each cake with 1 heaping teaspoon of Nutella. 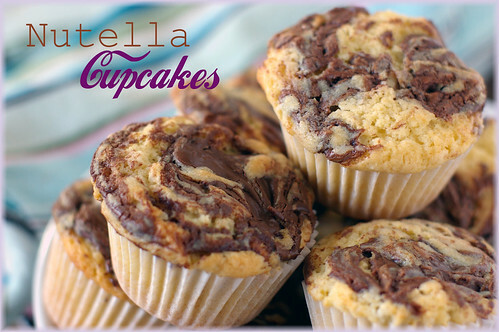 Swirl Nutella in with a toothpick, making sure to fold a bit of batter up over the nutella.